France’s CMA CGM, the third biggest shipping company in the world, aims to increase its market share in Indonesia to 20 percent by year-end from the current 13 percent. The Indonesian central bank is ready to face potential headwinds in the market if the United States Federal Reserve increases its benchmark interest rate this year. Astra International’s annual shareholders meeting in Jakarta on Thursday (20/04) approved dividend payouts of Rp 6.8 trillion — $510 million — and the appointment of a new director and a commissioner, the company said in a statement on the same day. In another sign of receding tension with the government over the future of its operations, PT Freeport Indonesia has submitted its proposal to obtain a permit to resume exports of copper concentrates. Travel app and website TripAdvisor crowned Bali as the “World’s Best Destination in 2017,” the first place in Asia to top its “Top 10 Travelers’ Choice Destinations” list. 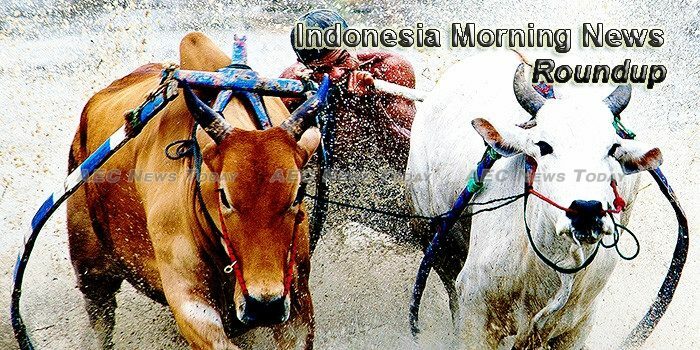 Indonesia’s benchmark stock index rebounded on Friday (21/04) after a decline in the previous day, on the back of a positive sentiment on the domestic market. The Australian corporate regulator has signed a co-operation agreement with Indonesia’s financial services authority, Otoritas Jasa Keuangan (OJK), to “promote innovation in financial services in their respective markets”. India is discussing with Indonesia the possibility of relocating its natural gas-based power plants to the South-East Asian nation. State-owned utility PLN and U.S. oil service firm Halliburton have signed a new cooperation agreement on the development of geothermal working areas owned by PLN in Indonesia. MALAYSIAN utility giants’ intent of building power plants in Indonesia could materialise sooner than expected as the Indonesian government is easing way of doing business and simplifying regulation processes. Private lender OCBC NISP Bank, the local Indonesian unit of Singapore’s second largest lender, plans to launch a private banking service in May. Thailand, Malaysia and Indonesia are taking united move to boost rubber prices. The pace of Federal Reserve interest rate hikes will be a key factor for whether or not Indonesia’s central bank adjusts policy over coming months, deputy governor Perry Warjiyo said.